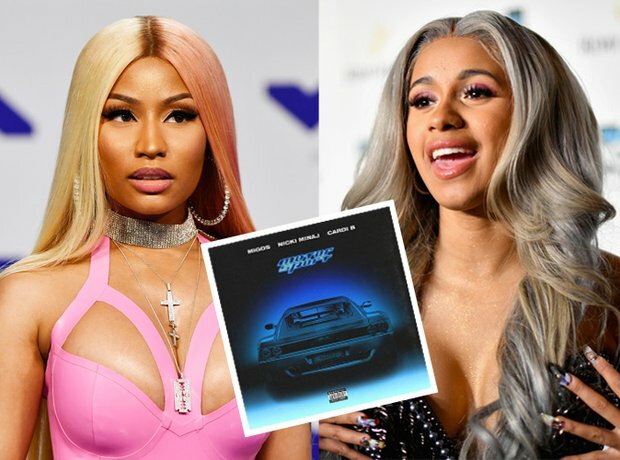 Both Nicki and Cardi featured on Migos song 'Motorsport', which was released in October 2017. 11. Both Nicki and Cardi featured on Migos song 'Motorsport', which was released in October 2017. The track was the first single released from Migos' forthcoming album 'Culture II', and marks Nicki and Cardi's first collaboration together. The pair both appeared in the official music video, albeit in separate scenes.